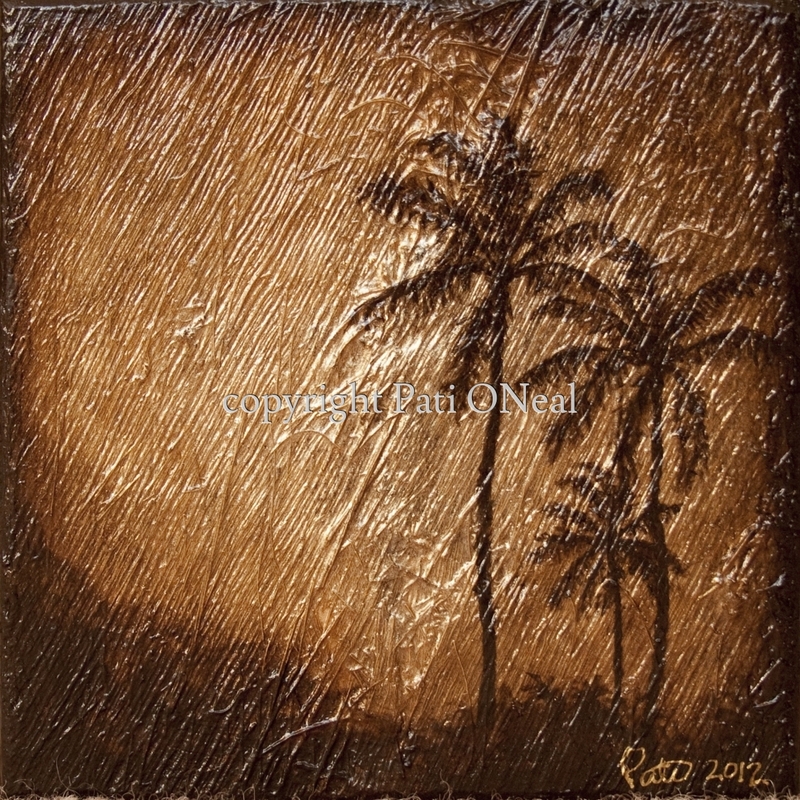 Silhouetted coconut trees painted on a background of prepared guinit (coconut tree fiber) mounted on a cradled birch panel. Original sold. Contact artist for similar commission.